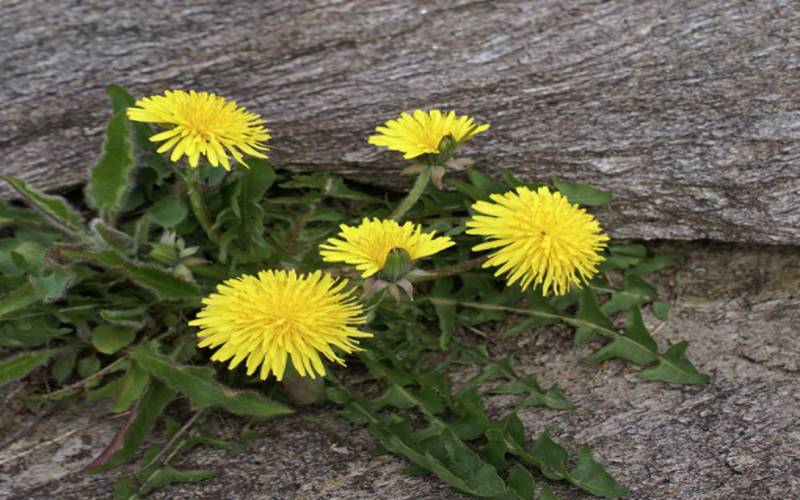 Backyard weeds are a big nuisance for most homeowners. Dandelion greens are probably the most notable, especially when its bright yellow flower turns to seed. Dating back to the 10th century it has been used for medicinal treatments because of its highly nutritional value. High in Vitamins K,A,C,B6, iron, calcium and many other nutrients. They might be bitter when eaten raw but are very tasty when cooked and seasoned. I remember picking them with my grandmother in her backyard along with rhubarb. Another weed you might not know is edible but I'm sure you have seen is Purslane. 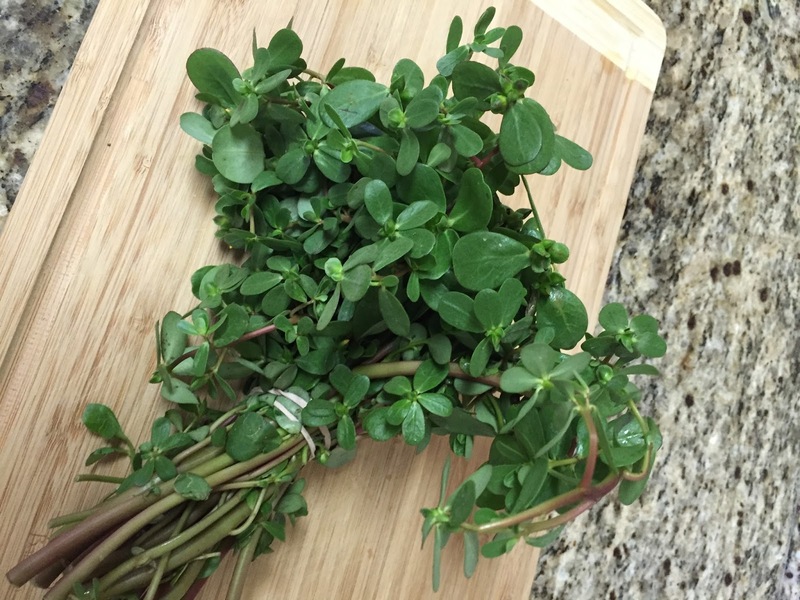 Purslane(also known as "portulaca") sprouts from sidewalk cracks, invades gardens and grows just about everywhere. But it also happens to be a "superfood" high in heart-healthy Omega-3 fatty acids and beta carotene. The leaves and stems are both edible. It has about half the amount of Omega-3 as salmon but no worries on mercury levels. The moisture-rich leaves have a tart cucumber-crisp lemony tang with slight taste of pepper. Next time you weed your garden or on a walk keep an eye out for it. It even grows in cracks on city sidewalks. Just remember to wash it thoroughly before eating, you don"t know what dog might have strolled by. I just got a bunch from my local farmer "Tomazin Farms" and am making a easy salad recipe today. 1 1/2 cups cherry tomatoes cut in half. 4 teaspoons red wine vinegar.